1. Only rich people need financial planners. Many people believe financial planners are only necessary for wealthy people who want to move huge piles of money around, but that’s not the case. Anyone who wants to be more organized with their finances and set long-term money goals can benefit from a financial planner. 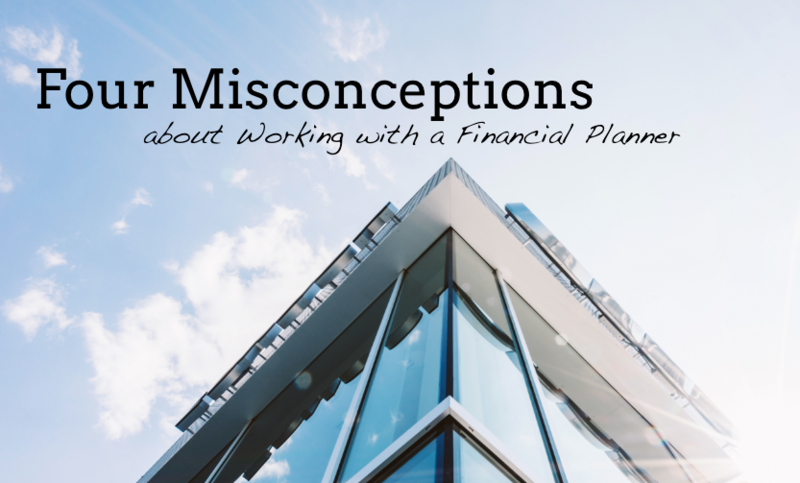 Another common misconception here is that financial planners are too expensive. But the key when looking for a financial planner is to understand that different financial planners have different target clients. So while it’s true that some financial planners prefer to work with wealthy clients, there are others who work specifically with younger or mid-range clients. Do your research to find the price range, personality type and focus in a financial planner that will work best for you. Be upfront about your budget; if the planner you’re talking to is out of your price range, he or she may be able to recommend someone better. Financial planners can absolute help you with your investment portfolio, but they should also help you consider your financial life as a whole. You have big-picture goals beyond investing – retirement, paying for college, paying off debt – so don’t be afraid to talk to other planners if you feel the one you’re working with isn’t taking all of your money goals and concerns into account. 3. Monthly memberships aren’t worth the investment. In most cases, fee-only planners manage assets, which may include an asset minimum. In a monthly membership, a planner can be more objective and go beyond asset management. Hourly plans may work for specific tasks, but for overall comprehensive planning, a monthly membership provides a much wider scope. This setup allows a planner to switch from thinking about what’s next on the task list to what would be best for the client overall. The monthly model also gets the client more involved with the planning. Whereas an hourly plan makes the client decide if their current problem is worth the cost of consulting, a monthly plan encourages the client to continue to find questions and propositions to bring up with the planner. If you’re paying for the service, you might as well use it. 4. You can download a tool or app instead of hiring a financial planner. Yes, you can download a great budgeting app or sign up for a tool to help you manage your finances. But those options are limited in their advancement abilities. You might keep better track of your money, but you won’t receive personalized advice for what to do with that money down the line. Short-term planning might benefit from a money tracker or spreadsheet. But when you’re looking long-term, a financial planner can help you plan the best possible course of action.